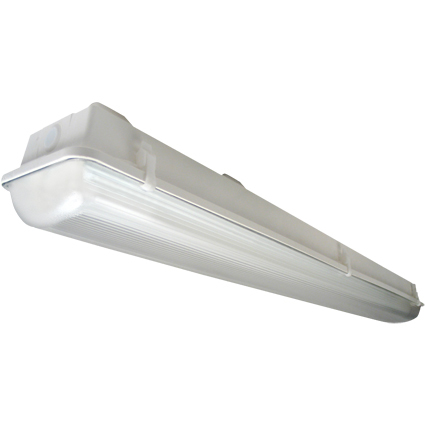 The EVERLINE Vapor Tight (VT) is ideal for unforgiving lighting environments. These durable LED luminaires have a fiber-glass reinforced housing which protects the light source and electronics from water, vapor, and contaminants. Optional tamper resistant hardware, along with standard gasketed seal and IP65 rating offer an ideal light source for harsh environments. The Vapor Tight luminaire line features four foot and eight foot products for replacement and new construction with Color Temperatures (CCTs) of 3500K, 4000K and 5000K.